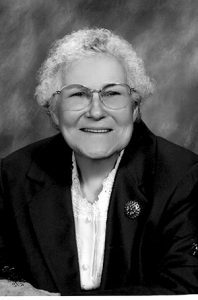 Evelyn Eleanor King Cutter, 83, loved the Lord and treasured her husband, Gilbert, who she is now walking in heaven with. She spent most of her life in Charlotte and died March 29, 2019. Evelyn was born in Buhl, Idaho on March 24, 1936 to Clarence and Ireta King. Evelyn graduated from Eastern High School in Lansing. She met her sweetheart, Gilbert Cutter, at Miller Road Bible Church where they married on August 28, 1954. They built their home in Charlotte, and raised four children. Evelyn was active at the Charlotte First Baptist Church where she taught Sunday School, served on the deaconess board and worked with the bereavement committee. After working the swing shift at Owens/Illinois for 20 years, Evelyn retired and enjoyed antiquing, shopping and traveling with her husband. Evelyn wanted everyone to know three things. She loved her God, she loved her husband and she loved her children. Greeting her in heaven are her parents, Clarence and Ireta; her beloved husband, Gilbert; her half-brother, Charles King; and her granddaughter, Ruth Cutter. Left to celebrate her life are her sisters, Pearl Johnson and Alberta Wilmore; her children, Brenda (James) Caplan, Steven (Sue) Cutter, Lynda (Darrell) Moster, Ken (Debra) Cutter; nine grandchildren, and 11 great-grandchildren; along with several nieces and nephews. Funeral services are Saturday, April 6, 2019, at 11 a.m. at Pray Funeral Home in Charlotte, with Pastor Ray Black officiating. Visitation is Saturday, April 6, 2019 from 9 to 11 a.m. just prior to the service. If desired, the family suggests memorial contributions to the American Cancer Society or Alzheimer’s Association. Friends and family are encouraged to share memories of Evelyn on her tribute page at PrayFuneral.com. Donald L. Stiver, Jr., 75, of Merritt Island, Fla., passed away March 31, 2019. He was born June 9, 1943, in Alexandria, La., to the late Donald, Sr. and Ann Stiver. Donald graduated from Charlotte High School, and then attended Michigan State University. He then enlisted in the United States Army, served a tour in Vietnam, and retired as a Lieutenant Colonel after 20 years of honorable service. While in the Army, he attended the Navy Test Pilot School. After retirement he was an avid airplane builder and pilot as a member of the Experimental Aviation Association. He received his bachelor’s degree in economics from St. Martin’s University and his master’s in systems management from USC. 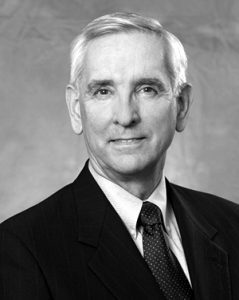 After his career in the Army, Donald worked for several government contractors (FMC, Lockheed Martin and DRS). He is survived by his wife, Phyllis; children, Carri F. (James) Grady of Viera, Fla., and Sarah C. Stiver of Alpharetta, Ga.; grandchildren, Katherine E. Banks-Smith (Travis) and Matthew D. Banks. Donald has one brother and three sisters. The Funeral Mass will be celebrated at noon on Saturday, April 6, 2019, at St. Mary Cathedral in Lansing. The Rite of Committal will follow in St. Joseph Catholic Cemetery in Lansing. His family will receive friends beginning at 11:30 a.m. at the church. In lieu of flowers, memorial contributions may be made to the St. Jude Children’s Research Hospital. Arrangements are by the Estes-Leadley Greater Lansing Chapel. Online condolences may be left for his family at EstesLeadley.com. 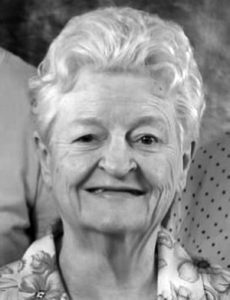 Ellen Christie Kays passed away on April 2, 2019 at Pardee Hospital in Hendersonville, N.C., following a short illness. Ellen was born June 22, 1934 in Dowagiac, to Arthur and Hazel Moore Kays, who predeceased her, as did her brother, Morey Kays. Ellen spent the majority of her life in Lansing before moving to Hendersonville in 2014. She dearly loved the State of Michigan and her two cats, Taco and Lollipop. Ellen was a legal secretary for some years but spent most of her career in the office of the Governor of Michigan. She is survived by her sister, Beth (John) Saurer, of Englewood, Fla.; brother, Paul Kays of Hendersonville; and sister-in-law, Neva Kays of Harbour Heights, Fla.; plus several nieces and nephews. Ellen’s life will be honored with a graveside service at Maple Hill Cemetery in Charlotte at 1 p.m. on Tuesday, April 9, 2018. In lieu of fowers, the family requests donations to Best Friends Animal Society at bestfriends.org. Aleta B. VanAuken, 98, of Vermontville, died Sunday, March 10, 2019 at her home. Aleta was born in Battle Creek on September 10, 1920, the daughter of the late Alston and Beatrice (Harrington) Penfold. She was raised in the Battle Creek, and attended local schools there. Her family relocated to the Nashville area while she was in high school, and she graduated from W.K. Kellogg High School in 1939. Aleta spent her working career at Kellogg’s, where she served the company in many capacities throughout the years. The majority of her career, however, Aleta worked in the shipping and packing departments, retiring in 1981 after 26 Years with the company. Along with her husband Donald, the couple enjoyed fishing, gardening, and traveling together. Aleta was also an extremely talented seamstress, who enjoyed making clothing for her family. Funeral Services were held at The Daniels Funeral Home in Nashville on Saturday, March 16, 2019, with Pastor Joe Benedict officiating. Interment took place immediately following the funeral service in Wilcox Cemetery in Nashville. Memorial contributions can be made to the family of Aleta VanAuken. 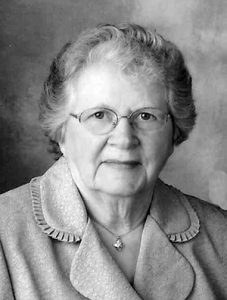 Ruth is survived by her daughters, Sue Ellen Thurston of Traverse City, Sally (Douglas) Knorr of Traverse City; sons, Keith (Carol) Umbarger of Holt, Kerry Umbarger of Eaton Rapids; seven grandchildren; nine great-grandchildren; half-sisters, Bonnie (LeRoy) Beagle of Eagle, Celia (Raymond) Ainslie of Empire, Sharlene (Dan) Winslow of Eaton Rapids, Becky Mock of Grand Ledge; half-brother, George (Geneva) Mock of Eaton Rapids; sister-in-law, Louise Mock of Eaton Rapids; several nieces and nephews. She was preceded in death by her parents; husband, Howard Umbarger; sisters, Fern Caldwell, Grace Firebaugh; brothers, Kenneth and Neil Mock; and half-sister, Patricia Trumble. Funeral services were held Friday, March 22, 2019 at Mills Funeral Home, located at 518 S. Main Street in Eaton Rapids. Interment followed in Oakwood Cemetery. Those desiring may make memorial contributions to the Eaton Rapids Historical Society. Please visit millsfuneral.com to place online condolences. Caroline R. Nelson, born on August 12, 1930, died on March 13, 2019 with her family by her side. She married Oliver Nelson on September 1, 1948. They are from the Rudyard and Pickford areas of the Upper Peninsula and moved to lower Michigan, where they raised their family. Together they had purchased the Chance School House in Vermontville, and lived there until their deaths. She was a member of the Nashville Baptist Church and had volunteered at Pennock Hospital for 18 years. 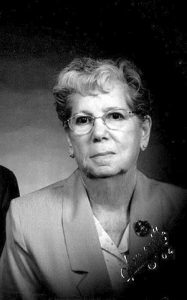 She is survived by her children, Earl, Karen (Earlyn) Huff, Robert (Louise); twins, Christine (Henry) Bouthiette and Christian (Lisa), James (Toni), and Helen (Jim) Misner; as well as many grandchildren, great-grandchildren, and great great-grandchildren; many nieces and nephews; her brothers, Charley (Margaret) Izzard, Verne (Margene) Izzard and Duane; and her brothers-in-law and sisters-in-law. She is preceded in death by her husband, Oliver Earl Nelson; her parents, Nelson and Fannie (Vincent) Izzard; her brothers, and sisters-in-law, Wesley (Irene) Izzard, Carl, Claude (Eleanor) Izzard, and Russell (Bernice) Izzard. Funeral services were held at The Nashville Baptist Church on Monday, March 18, 2019, with pastors Lester DeGroot, and Deano Lamphere officiating. Interment took place at Woodlawn Cemetery in Vermontville. Memorial contributions can be made to The Nashville Baptist Church. 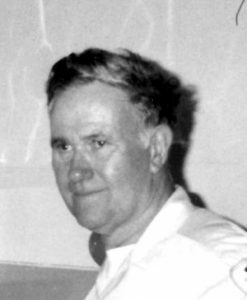 Lawrence J. Munro, 87, of Olivet, passed away on the family farm March 16, 2019 in Olivet. He was born on June 27, 1931 in Lansing to A. Hugh and Margaret (Fassbender) Munro. Larry attended Charlotte High School, graduating in 1948. After high school Larry pursued a career in the newspaper business. A short time later, however, he returned to the family farm. Larry joined the Navy where he served his country from 1956 to 1960 between the Korean and Vietnam wars. He served as a Radioman on the USS Toledo. That service led to Larry being stationed at the Naval Communications Station in Adak, Alaska. He finished his Naval career at the Naval facility at Pacific Beach Washington. Larry returned home again to the family farm south of Charlotte to raise cattle. At that time he also went to work for the United States Postal Service, starting as a clerk, moving up to postal carrier, and then serving as Postmaster at several post offices, including Olivet, until his retirement in 1987. In 1974 Larry married Clarinda “Cindy” Thompson. Many people will remember Larry as a quiet gentleman with a warm smile. He was a devout member of St. Mary Catholic Church in Charlotte. He was one of the regular workers on church projects, most often alongside his wife, Cindy as they prepared the many lunches and dinners that followed funerals and other events at the church. Above all, Larry was proud of his family and his farm. Larry died in the house that he and Cindy had built on the back side of the family farm where he had resided since the 1940s. Lawrence is survived by his wife, Cindy; their two daughters, Paula Randall, and Sandra (Timothy) McCarn; three grandsons; two granddaughters; one great-grandson; and his brother, Alan (Carol) Munro. He was preceded in death by his sister, Margie Metz. A funeral Mass for Larry was celebrated Thursday, March 21 at St. Mary Catholic Church in Charlotte, with Rev. Father Dwight Ezop officiating. Burial took place in Dowling Cemetery in Dowling, Mich.
Family and friends are encouraged to share remembrances and condolences online in Lawrence’s tribute page at PrayFuneral.com. Tracey Lee Moreno, of Lansing, passed away Saturday, March 9, 2019 at the age of 52. Tracey was born March 12, 1966 in Lansing, and was the eldest of four children and the daughter of Juan Moreno and Connie Hampton. Tracey is survived by her mother; father; her sons, Dustin Rice and Corey Rice; grandchildren, Trenton Rice and Corey Rice Jr.; and her sisters, Brandy Moreno of Eaton Rapids, Darla Moreno of Lansing; and her brother, John Moreno of Eaton Rapids. She also has many aunts, uncles, cousins, nieces and nephews. Tracey was preceded in death by her sister, Angela Moreno; her grandparents, Pablo and Martina Moreno, and Lewis and Cornelia Horton. A celebration of life/memorial service will be held and announced at a later date. The family is grateful for the condolences, but asks that in lieu of flowers that donations be made to help cover costs of the cremation and the memorial service; via a gofundme account. Barry Dale Hensel, 56, of Charlotte, passed away Sunday, March 17, 2019. He was born July 19, 1962, in Connellsville, Penn., the son of Edgar and Maxine (Soisson) Hensel. Barry lived the majority of his life in Michigan, but never forgot where he came from and never stopped rooting for his favorite team, the Pittsburgh Steelers. To say that he will be greatly missed does not begin to describe the loss felt by his friends and family. Barry’s personality was larger than life and he always made those around him laugh with one-liners, comebacks, and running gags. But he was much more than a jokester. Barry cared deeply for those around him. He always had questions for you because he truly wanted to know how you were doing and if he could help. If he could help, he would do anything, from lending a hand to lending his truck. Barry would even give you the shirt off his back, just as long, of course, as it was not his Steelers shirt. Barry is survived by his siblings: Cheryl (James) Margeson of Charlotte, Deborah A. Hensel of Charlotte, Kevin (Betty Horner) Hensel of Connellsville, Todd (Maryann) Hensel of Connellsville; nieces and nephews: Mary Margeson, Jennifer (Brad) Stanke, Wesley (Kristin) Margeson, Steven (Angel) Hensel, Nicholas (Kaitlin) Hensel, Timothy (fiancée Lauren Urie) Hensel; special friends: Julie Horner and Kenadie Horner; several great nieces and nephews; aunt, Virginia “Jeannie” Northrup. A visitation will be held on Saturday, March 23, 2019, from 10 A.M. to 12 P.M. at the Burkhead-Green-Kilgo Funeral Home, Charlotte. Graveside services will take place at the Greenridge Memorial Park in Connellsville, PA.
Those desiring, may make contributions in Barry’s honor to the American Cancer Society or the American Diabetes Association. To view Barry’s obituary online or to leave a condolence for the family please visit burkhead-greenfuneralhome.com. June Grundstrom passed away on March 4, 2019 in Charlotte at the age of 92. June was born on October 18, 1926 in Charlotte, the only child of Augustus Little and Laura Dell Whitaker. She is survived by her children, Chuck (Jan) Grundstrom, Sandy (Bob) Kirk, and Randy Grundstrom, all of Charlotte. She was blessed with seven grandchildren, Anthony, Meg, Randy, Angela, Eric, Tia, and Sarah, and will be dearly missed by nine great-grandchildren, McKenzie, Connor, Isabella, Nicholas, Hannah, Emma, Lauren, Gage, and Stella. In keeping with her wishes, cremation has taken place, and there will be no additional services at this time.